Accurate detection of hydrocarbon-based fuel and gas fires with optional model for hydrogen and hydroxyl fires. SharpEye™ UV/IR Dual Spectrum Detector with manual test and heated optics. 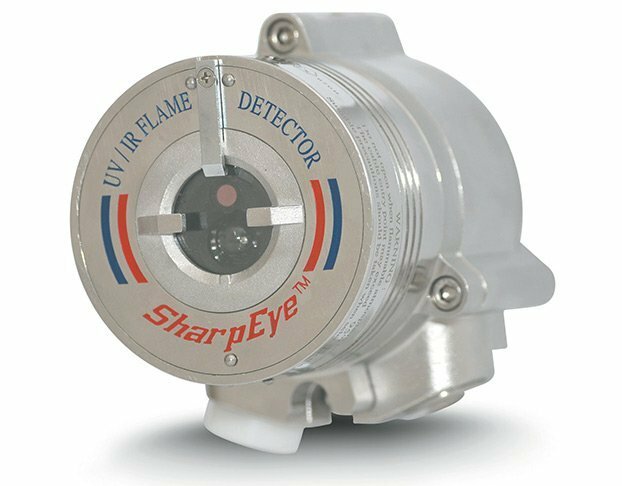 SharpEye™ UV/IR Dual Spectrum Detector with built-in test and heated optics. 40/40L4 (L4B) are identical to the L and LB models respectively, except the IR sensor works at a wavelength of 4.5 microns and is only suitable for hydrocarbon-based fires. Air shield for 40/40 models. The air shield has been designed to protect the detector’s viewing window from debris and dust.